One of the favorite things for kids is to visit the zoo with their family members or friends. You can see the wonder and amazement in the eyes of children when they visit for the first time. According to Association of Zoos and Aquariums, there are more than 181 million visitors every year. Children visiting zoo make incredible learning opportunities and can obtain priceless knowledge. You can make the visit perfect when planned with family and friends. Following are the benefits with zoo visiting. While walking along the zoo, it is important that parents have to label every animal and tell the importance of the animal. This helps them to increase the vocabulary and comprehension skills in kids. When the child walk along the zoo with their parents, they are exposed to different words and concepts. It also encourages the dialogue between parents and children. This is one of the way for language development. Grandparents, parents, siblings and friends can find a way to enjoy at the zoo all together. Visiting a zoo is a perfect day to spend with the family together. Infact, I have my old sweet memories during my childhood when I visited a zoo nearby with my parents and grandparents. It was an exciting and magical experience for the day. There are many zoos that offer different events and activities for children. For example, Turtle Back Zoo offers night time programs for different visitors. They can know how animals behave and interact at night. Other events like conversation days and days dedicated to different animals are special attractions. When the child visits the zoo, they can understand the importance of taking care of the environment and how it impacts the lives of animals. For example, Popcorn Zoo is all about taking care of animals which are sick, elderly, abandoned and injured. Visitors can learn the unique story of each animal when they walk along the way. There are many zoos that offer educational programs like the awareness of animal behaviour, care and conservation. For example, The Bergen County Zoo provides the hands on learning environment for kids and families. They also offer stories, songs, craft programs that gradually help children to understand about animals. As zoos cover a vast amount of area for placing their animals, visiting the zoo and walking throughout helps in decreasing calories. The Space Farms Zoo has wide open space along with hill grounds where you have to put more efforts to walk through the hilly area in the zoo. It is also a perfect playground for children and can make new friends over there. As soon as children enter the zoo, they will be in curiosity to know what is happening around and they keep their eye wide open to see the species there. They start saying “mommy can I see the animal over there?, Mommy where does the animal come from!”so on. They will be very curious to know all the new things and thus zoos encourage the learning that helps in brain development. The most important aspect is that when children go to the zoo, they explore their environment and make new discoveries. It helps in language development, motor and academic growth. While exploring the zoo, the children start asking many questions about animals and they engage themselves in storytelling. Such stories are a key source for healthy development and self awareness. They come to know what animals they like and what they do not like through hearing stories of different animals in the zoo. Zoos are considered as the best way of learning. Many zoos offer petting and feeding animals. The visitors can touch live sharks, stingrays, etc. Such hands on and interactive experience is the best way where kids can never forget their experience of visiting the zoo. Children can gain knowledge through zoos. They need not specially attend for educational programs or special events to gain knowledge. They will use their senses to understand about the animals and the environment. They can learn the way an animal smells, the way they make sounds, they way they feel, etc. 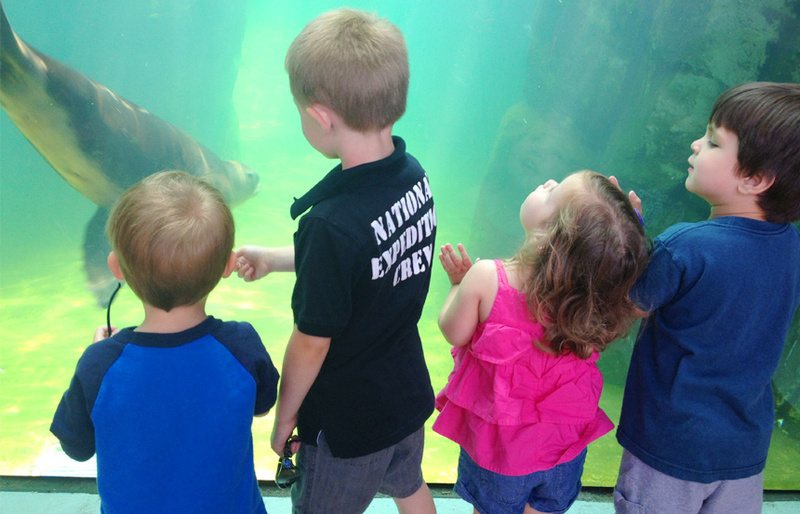 The toddlers can stimulate and engage themselves on a visit to the zoo. The kids of young ages can find out the fascinating elements of animal life like what they eat, what they drink and how do they communicate. The last word for parents is that, if possible prefer to take your children to the zoo when the crowd is smaller.